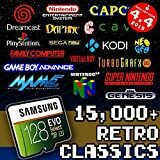 Over 40 systems and 15,000 games - Don't be let down by bogus SD card listings promising 100k games Many aren't even compatible with the system or are duplicates. Kali Linux 2018.3 64Bit operating system (with persistence): Secure and created for penetration testing and ethical hacking. Bonus DVD ($49 Value): Learn Kali Linux eBook & intro to penetration testing + full video course on ethical hacking. It also includes essential Linux software programs. Comes on a bootable 16Gb USB Flash Drive. A Kali Live USB gives you the opportunity to test drive Kali Linux without touching your computer at all. All you'll need to do is insert the USB, boot from it and you'll be up and running Kali Linux with Persistence. What is Kali Linux 2018.3? -Kali Linux Is The Most Advanced Penetration Testing & Ethical Hacking Distribution, Ever. -Kali Linux has over 600 penetration-testing preinstalled programs. -It is the #1 operating system for penetration testing and ethical hacking, and this bundle gives you all the information you need to master both. Works out of the box, with full multimedia support and is extremely easy to use. This DVD includes the latest release of Linux Mint - Version 13, codenamed "Maya" - and is configured with both the Mate and the Cinnamon desktop versions. Linux Mint enjoys a well-deserved reputation for ease of use. A variety of graphical tools give the community-driven software a dose of extra usability, while the inclusion of numerous multimedia codecs enhances its hardware compatibility. Mint comes a wide array of application software including Firefox, Thunderbird, LibreOffice, GIMP, and the Totem movie player. Mint is now ranked as the most popular Linux distribution on DistroWatch, usurping Ubuntu, which long held that leading position. 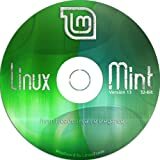 Linux itself is well-known for its security, and Linux Mint takes a number of additional steps toward safety and reliability, including a conservative approach to software updates and a unique Update Manager. Customizability is one of Linux's key strengths, and users can tailor the software's appearance, desktop, application suite, and more. After life in the proprietary world, it's a real eye-opener to be able to make your operating system your own. 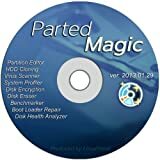 Its ability to automatically connect to most kinds of networks make it quick and easy to recover data from a crashed Windows installation to a network server, etc..
Detects nearly all modern file systems, including Windows NTFS, FAT, FAT32, ext2/ext3/ext4, reiserfs, btrfs, xfs, etc..
Partition Magic is a highly specialized Linux distribution designed for partitioning, cloning, encrypting etc.. of Hard Drives and partitions. Please Note: This is NOT a Windows boot disc, and does not use any MS Windows technology or software to perform its tasks. IT WILL however, allow you to create, resize, delete, and wipe partitions on a Windows system. It can be used for both Linux and windows computers, and on desktops and servers. Requires no installation as it can be booted from a CD/DVD drive, but it can be installed on the hard disk if you wish. Clonezilla - A straightforward Linux environment designed specifically to clone, backup, and restore almost all existing file systems. TrueCrypt - A powerful and standardized application for encrypting and decrypting hard drives and partitions. Works on both Windows and Linux filesystems. 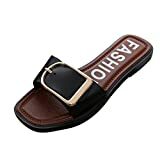 US:5.5 UK:3.5 EU:36 CN:36 Foot Length:221-225mm/8.70"-8.86" Foot wide:8.5/3.35"
US:6 UK:3.5-4 EU:36-37 CN:37 Foot Length:226-230mm/8.90"-9.06" Foot wide:8.5-9cm/3.35"-3.54"
US:6.5 UK:4 EU:37 CN:38 Foot Length:231-235mm/9.09"-9.25" Foot wide:9cm/3.54"
US:7 UK:4.5 EU:37-38 CN:39 Foot Length:236-240mm/9.29"-9.45" Foot wide:9-9.5cm/3.54"-3.74"
US:8 UK:5 EU:38-39 CN:40 Foot Length:241-245mm/9.49"-9.65" Foot wide:9.5cm/3.74"
Size:S Bust:100cm/39.37" Shoulder:40cm/15.74" Sleeve:17cm/6.69" Length:67cm/26.38"
Size:M Bust:105cm/41.33" Shoulder:41cm/16.14" Sleeve:18cm/7.08" Length:68cm/26.78"
Size:L Bust:110cm/43.30" Shoulder:42cm/16.53" Sleeve:19cm/7.48" Length:69cm/27.17"
Size:XL Bust:115cm/45.27" Shoulder:43cm/16.92" Sleeve:20cm/7.88" Length:70cm/27.56"